This is an article published in The Hindu in Mar 2005. "The soaring petrol and diesel prices and shortage of kerosene for supply through the public distribution system underscore the need to conserve fuel and adopt measures to enhance energy efficiency. With crude oil prices on the rise, the importance of fuel conservation is more relevant now than ever before. 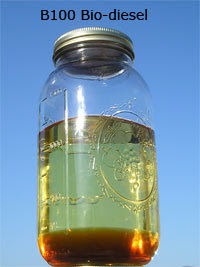 A section, including a group in Chennai working for the use of plant oil as domestic fuel, has realised its importance. According to P. Mukundan, Chief Executive of Servals Automation, the company is holding talks with Development Alternatives, a non-governmental organisation (NGO) in New Delhi, to undertake contract research on plant oil as a substitute for kerosene. The idea is to identify the plants whose oil could be used as domestic fuel with some additives, encourage their plantation and provide crushing and storage facilities." Write to us. We would like to learn from your knowledge, experience and ideas.